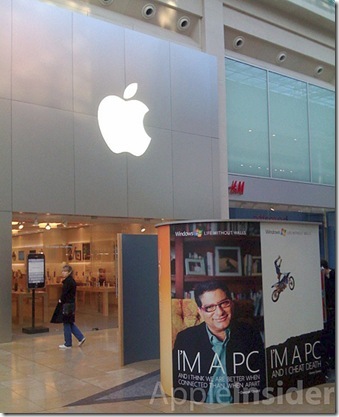 I’m a PC, outside an Apple Store! The $300 million “I’m a PC” marketing campaign continues as Microsoft sets camp in the front yard of its arrogant competitor. 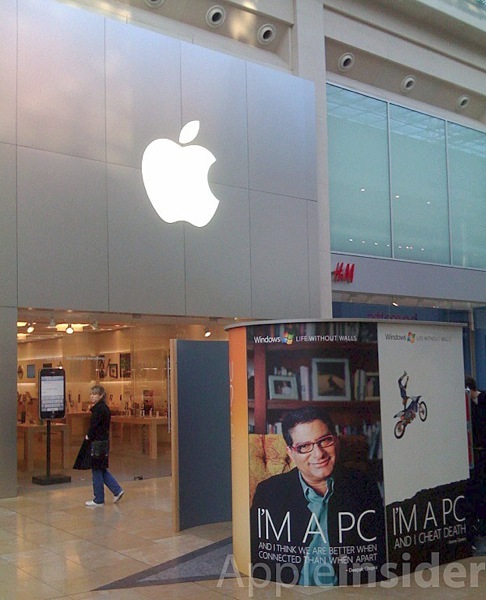 This picture taken from Birmingham, England shows ”I’m a PC” booth outside an Apple Store, where you can record your own I’m a PC video. So, if you live there, what are you waiting for? Get going and get recognized. Maybe, you could end up in an “I’m a PC” ad on air too!